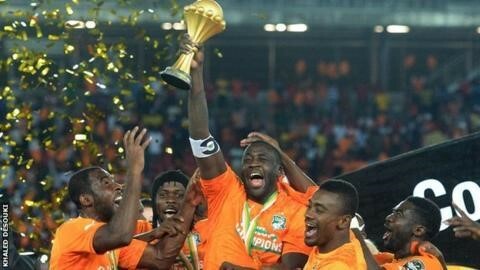 Winner of the 2015 Cup of Nations, the Ivory Coast, have been given extra financial support for the 2017 Africa Cup of Nations finals. The Ivorian government, under siege with discontent within the military and segments of the public still loyal to former president Laurent Gbagbo, have approved about €6 million euros for the team’s campaign in Gabon. It represents an increase of about €600,000 euros from the last finals in Equatorial Guinea almost two years ago and has engendered some cynicism in the country with critics accusing the government of trying to ride the teams coattails and hoping for a deep run in Gabon in order to paper over the serious issues of illegitimacy, incompetence and unpopularity it facing. Ivory Coast will kick off its tournament against Togo on 16 January, and will then face the Democratic Republic of Congo and Morocco in the group stage. On another note, CAF, The Confederation of African Football, have almost trippled the purse the winner will take home at this year’s tournament. It has gone from about $1.5M U.S. to $4m.